LIGHTLY raced three-year-old Tshahitsi looks set for a bright future given the ease with which the gelding dispensed with his rivals in a strong maiden over 1400 metres at Tattersall’s Park in Hobart on Sunday. With Victorian rider Corey Parish in the saddle, Tshahitsi made the most of an inside gate to lead with the Gary White-trained La Belle Moi happy to race at the leader’s girth. When the field wheeled for home Parish allowed his charge more rein and he let down like a good horse to go on and score by a length from Flying Cruiser (David Pires) that came from last on the home turn with Like Alulu a battling third four lengths away. Tshahitsi is trained by Christine Crook and Imogen Miller and it was Miller’s first win as a trainer with only her third starter. 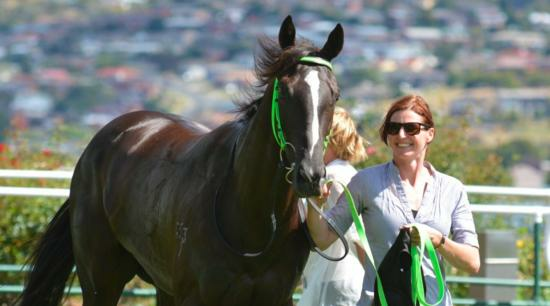 Listen to what trainer Chris Crook had to say about Tshahitsi and her new training partner.